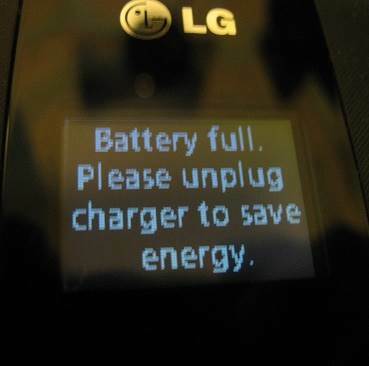 LG 440g External screen fully charged while phone is off. External screen fully charged while phone is turned on. Q: I got a question from a viewer from another site about how to tell when this phone is fully charged as there didn't seem to be an icon or sound indicator. A: When the power is off while charging, you get a visual indication both on the external screen and main screen as shown in pics 1 and 2. When the power is on while charging, the indicator is again shown on the external screen but not on the main screen when you flip it open. 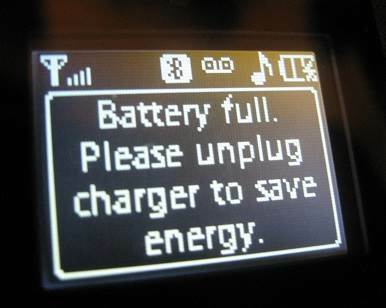 Once you close the phone again, the time and date and shown on the main screen, and it take a few minutes before the battery full indicator is shown again. Comments for How do you tell it's fully charged? Does this thing ever get fully charged? 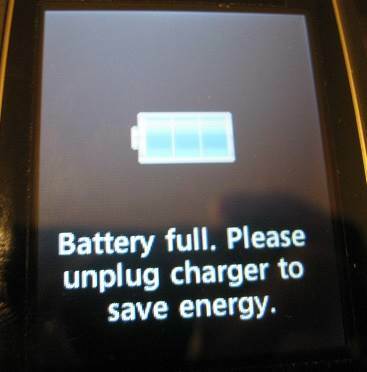 I got one of these recently, and it never gets fully charged. I hook it to a charger and hours later the last bar on the battery icon is still flashing. It never charges all the way.